Of course, the use of the word small is meant to be a hint at what may be announced during the event on May 20. What that announcement will be is not yet known but a smaller Surface has made its way into rumors and reports for a while now. Microsoft Surface has been a struggling division for the company and the tablets are not selling nearly as well as those from other companies like Apple. However, since they are costly and are running an operating system that many people do not like, it doesn’t seem like a smaller version would necessarily be a hit. Even Microsoft has dropped quite a few hints as far back as 2013 about a smaller Surface. During an interview with The Verge, the man in charge of the Surface division, Panos Panay, said that the company was working on devices in “various shapes and sizes.” Although additional details as to what those shapes and sizes could be were not provided, the statement did hint that future Surface tablets would not necessarily conform to the same repetitive design. So, will a Surface mini actually boost up that part of the company? Well, it is hard to tell. One thing we do know is that smaller 7-inch tablets are huge and devices like the Nexus 7 and iPad Mini have consistently sold very well. 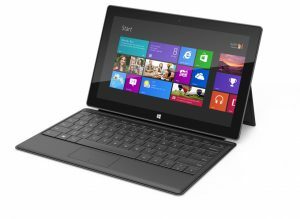 However, those tablets are also relatively cheap and given the Surface’s track record, Microsoft has a hard time keeping costs down for those products. Summary: Microsoft is inviting people to a press event on May 20. The event is a “small gathering” according to Microsoft. The word ‘small’ may be a hint regarding what the announcement will be. It seems plausible that a smaller Surface tablet will be introduced later this month, though nothing has been confirmed.